General U.S. army, U.S. president; Born: October 14, 1890, in Denison, Texas. Married: Mamie Doud, July 1, 1916. Died: Walter Reed Hospital, March 28, 1969. Buried: Dwight D. Eisenhower Presidential Library, Abilene, Kansas. Dwight David Eisenhower was born in Texas in 1890 to David Jacob and Ida Elizabeth (Stover) Eisenhower. The third of seven boys, he was raised in the family home in Abilene. Called “Ike” as a young man, he played football and other sports and graduated from Abilene High School in 1909. Eisenhower applied to West Point and Annapolis military academies in 1910. He requested and received an appointment from Kansas Senator Joseph L. Bristow, and was admitted to West Point in 1911. Eisenhower graduated from West Point in 1915 and received his commission as a second lieutenant. He married Mamie Geneva Doud on July 1, 1916, while he was stationed in Texas. They had two children. He served in the Panama Canal and Philippines in the 1920s and 1930s and graduated first in his class from the Command and General Staff College at Fort Leavenworth in 1926. He was promoted to brigadier general in 1941. Eisenhower directed the allied invasions of North Africa, Sicily, and Italy from 1942 to 1943. In December 1943 President Franklin D. Roosevelt appointed him Supreme Commander, Supreme Headquarters Allied Expeditionary Force. In this capacity Eisenhower was in charge of the planning and execution of the Normandy Invasion, June 6, 1944, which ultimately led to victory in Europe the following May. Following the war, Eisenhower served as president of Columbia University (1948-1949) and NATO commander (1950-1952) and before accepting the 1952 Republican Party presidential nomination. Running on a campaign of “I Like Ike,” he was twice elected president. 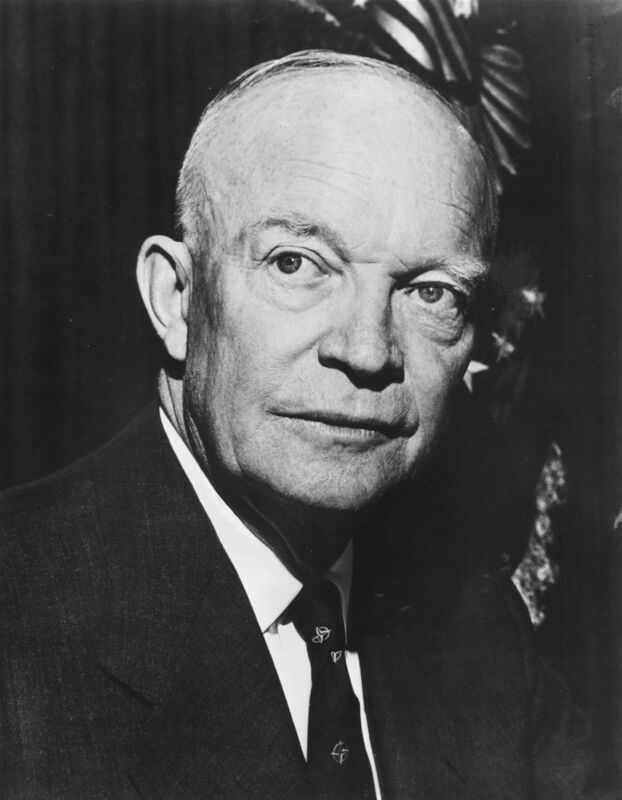 Serving from 1953 to 1961, Eisenhower presided during a post-war period of great prosperity for the nation. The Cold War Era caused growing concerns for the country, and the activities of the Civil Rights Era were just beginning. Eisenhower authorized the Interstate Highway System in 1956, People to People International in 1956, and the National Aeronautics and Space Administration in 1958. He was the first president to appear on color television and the last president born in the 19th century. 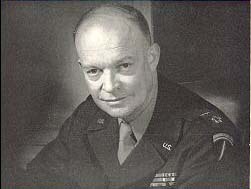 Eisenhower was the only general to serve as president during the 20th century. Eisenhower spent his remaining years at his Gettysburg, Pennsylvania, farm. On March 28, 1969, Eisenhower died at Washington's Walter Reed General Hospital. His body was returned to Abilene and buried at the Eisenhower Center. Numerous public middle and high schools are named for him. A memorial on the National Mall near the Smithsonian’s National Air and Space Museum is in the planning stages. View primary sources related to Dwight D. Eisenhower in Kansas Memory.